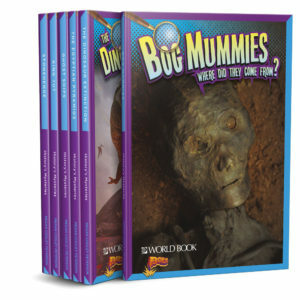 This revised 4 volume series brings into striking focus the mighty beasts that ruled our planet for millions of years. The books cover all the major groups of dinosaurs, from fierce and deadly meat-eaters to the gentle giants that fed on plants. Readers will encounter such familiar favourites as Tyrannosaurus and Apatosaurus. They also will discover such newly discovered marvels as the feathered dinosaurs that gave rise to birds. An up-to-date as well as entertaining survey of these inexhaustibly interesting animals, perfect for beginner paleontologists! Numerous exactingly executed illustrations of dinosaurs in action. Linked to complementary website providing relating videos and activities. Clear descriptions of the major dinosaur groups and the periods in which they lived. Pronunciation keys help students learn unfamiliar names. Fun facts highlight unusual characteristics of dinosaurs. "Up Close" features explore selected dinosaurs in painstaking detail. 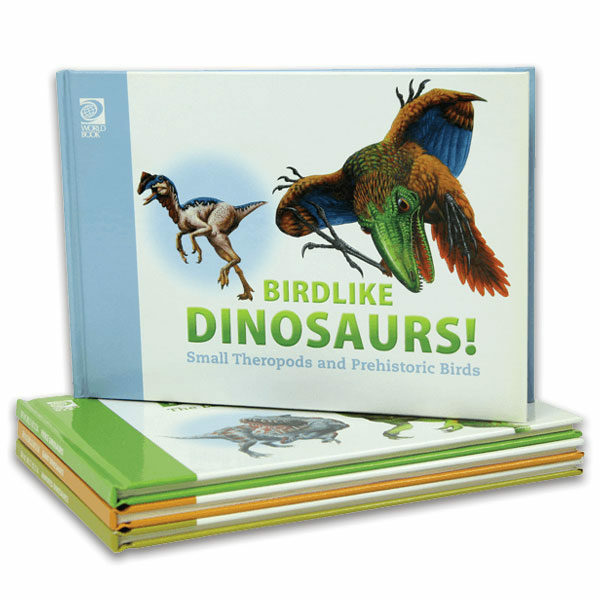 Illustrations of newly discovered feathered dinosaurs and exploration of the relationship between dinosaurs and birds.